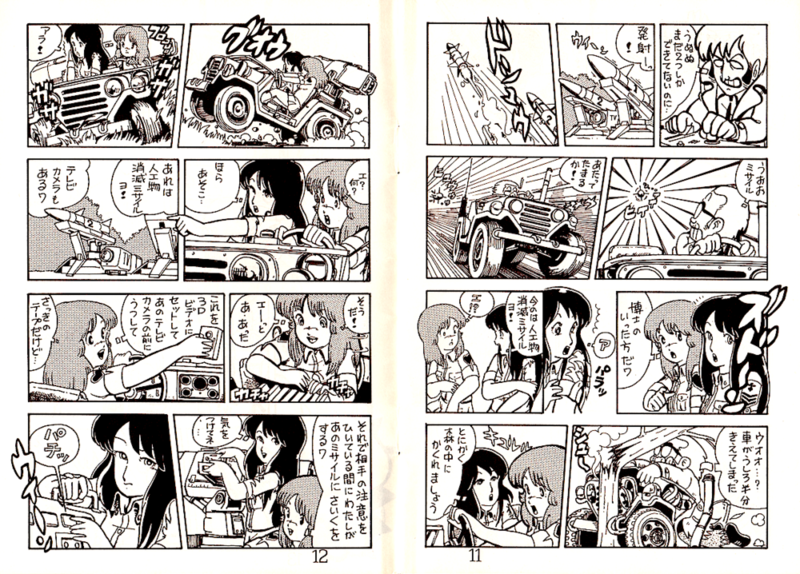 Girls und Panzer, Kantai Collection, the upcoming Gate--the current crop of military anime are an ugly reminder of how far the industry has declined. No, I’m not talking about the left wing claim that cartoons are raising a generation of war mongers, or the cynical notion that anything will sell as long as it has cute girls and guns. What's most disturbing is the lack of animators who can actually draw the hardware being fetishized. Need a tank, fighter jet or battleship? Better call a CG artist, because nearly everyone with the skills to put precision parts to paper has vanished into sakuga history. 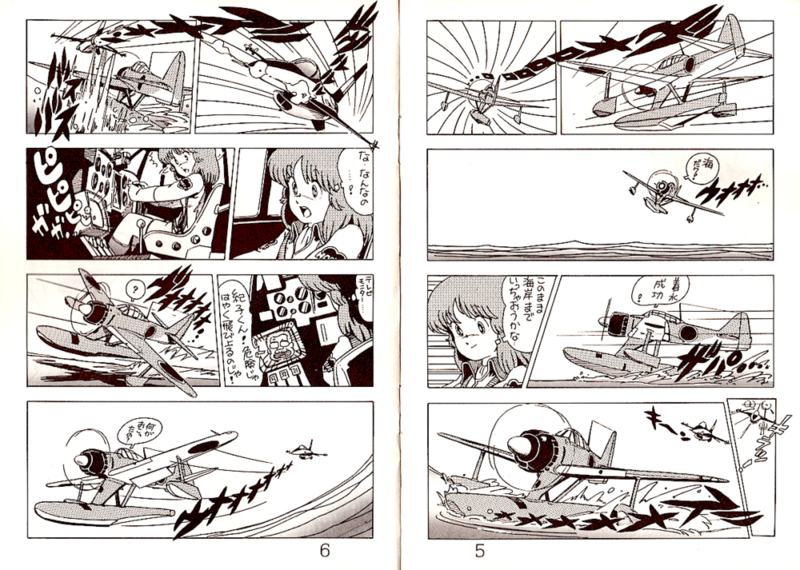 Fujita Yukihisa is one such forgotten hero, an unsung great who could handle moe just as well as mecha. 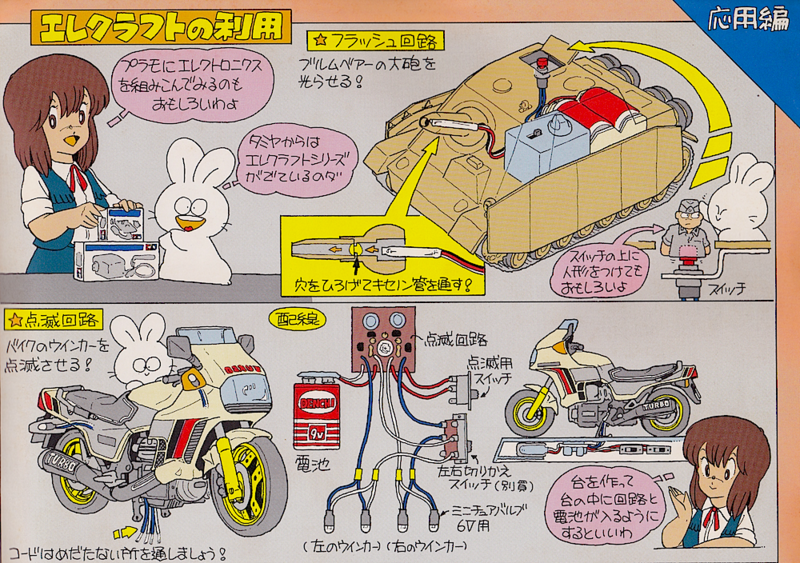 Throughout the 80s he was the face of model kit maker Tamiya where his family-friendly mascots, Moko-chan and rabbit companion Rabi-kun, waved to consumers from packages as if to say, “Don't be afraid, modeling is FUN and EASY. Give it a try!” Build-it-yourself RC cars and Gundam kits were hot with kids--why not also sell them on something with real firepower? I don’t know if Fujita himself could rebuild an engine block but he could certainly draw a diagram that told you how. His illustrations show a technical understanding of how things work, what parts move and why--the soul of modeling. So it’s no surprise to see him credited as a mechanical designer on classic films and OVAs like Char’s Counterattack, Riding Bean and… Relic Armor Legaciam? Well, they can’t all be blockbusters. 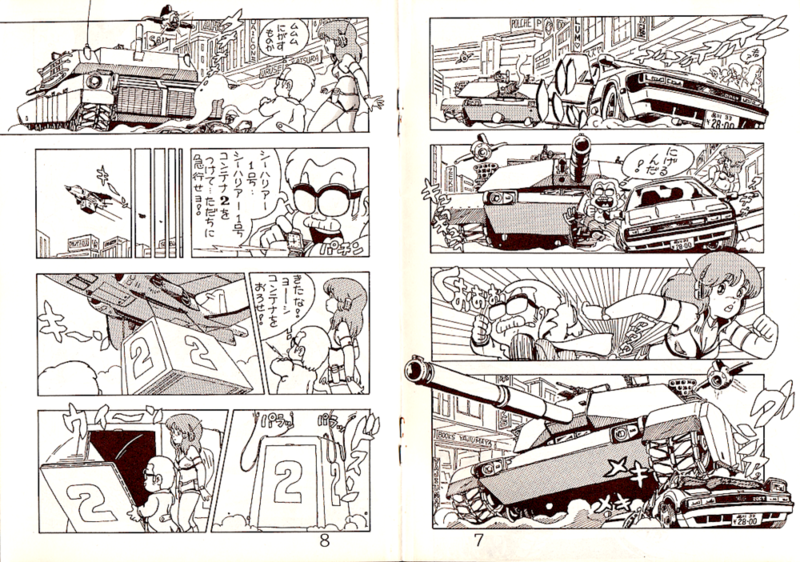 His most important contribution to fan culture is also his most obscure--1984's Awake, a four-minute short that welcomed visitors to sci-fi convention Tokusatsu Taikai with animation from Asari Yoshitoo (Space Family Carlvinson), Morino Usagi, Toyoshima U-saku and other artists like himself who dominated the dojinshi scene only to vanish along with the VHS market. 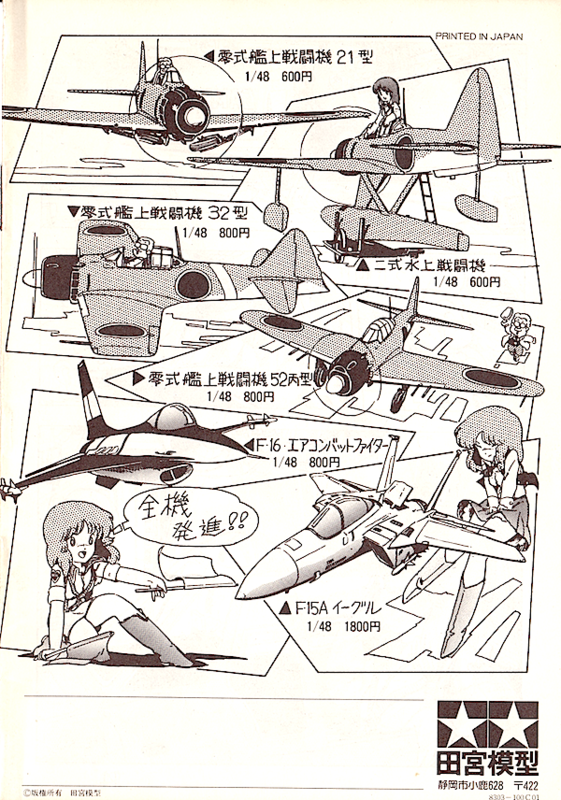 I've managed to track down some of Fujita’s work from a time before CG graphics or consumption tax. The following pages showcase that mix of cartoony cuteness, cold steel and slapstick humor that makes 80s anime fascinating years after the fact. According to Japanese bloggers Fujita still runs a booth at Wonder Festival, the bi-annual figure trade show. If you run into him amidst the garage kit faithful and soft vinyl hustlers do me a favor and ask, "Where the hell are you now that we need you the most?"